Revital H Capsule is a nutraceutical for daily health with a combination of vitamins and minerals that helps to support daily energy needs and Ginseng helps in concentration. It increases oxygen consumption in the body and helps to maintain energy & stamina through the day. One capsule to be taken with one glass of drinking water/milk/juice and take a break of 15 days after 3 months of daily usage or as directed by the physician. 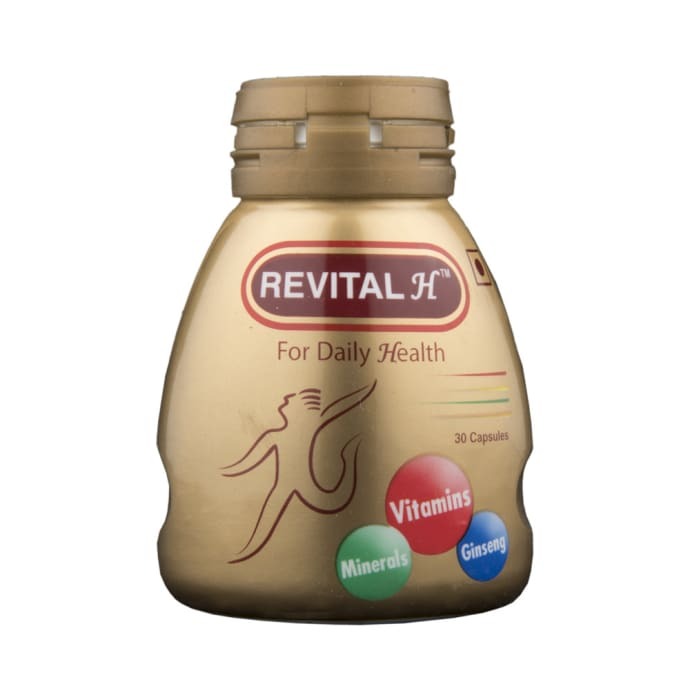 A licensed pharmacy from your nearest location will deliver Revital H Capsule. Once the pharmacy accepts your order, the details of the pharmacy will be shared with you. Acceptance of your order is based on the validity of your prescription and the availability of this medicine.